The early English novel Euphues and His England (1580), attributed to Oxford’s personal secretary and stage manager John Lyly, associates the Queen with Venus and Juno and Pallas. R.W. Bond in The Complete Works of John Lyly (vol. 1) mentions a 1569 portrait of Elizabeth by court painter Lucas de Heere in which Elizabeth is attended by Juno, Minerva and Venus (preserved at Hampton Court). Whether Lyly could have seen the painting is conjecture; but Oxford, the Lord Great Chamberlain and first royal ward of the Queen, surely saw it. Whose beauty’s string no God can well destraine. In his Studies in Philogogy (1980), Steven W. May writes that the middle line above, “with its reference to ‘her alone, who yet on earth doth reign,’ may well concern his relationship with the Queen.” When this cautious Stratfordian scholar ventures a “may well” on this topic, we can take it to the bank that Oxford must have been writing about Elizabeth. Most if not all of Edward de Vere’s poetry, in my view, centers around his relationship with Elizabeth, and all his poetry as by “Shakespeare” stems from that relationship as well – a prime reason why it was excluded from the 1623 folio of thirty-six plays. 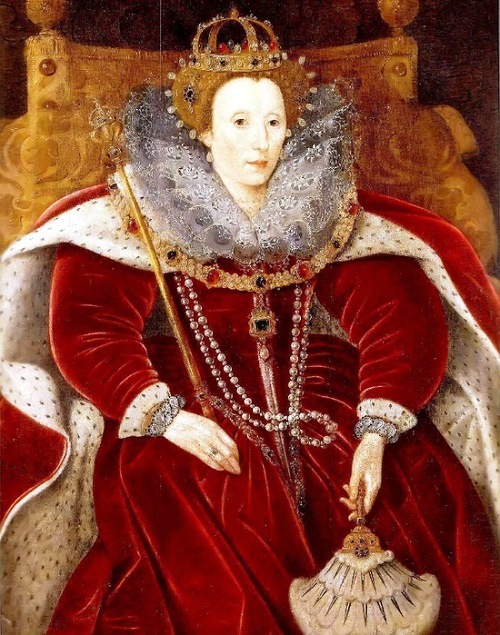 The second part of this blog post will show some strong but heretofore unnoticed links between Oxford’s poetry and the so-called Dark Lady sonnets (127-152), in which her Majesty is “dark” or “black” not because of any physical coloring but, rather, because of her negative attitude and actions: “In nothing art thou black save in thy deeds” (131) … “For I have sworn thee fair, and thought thee bright,/ Who art black as hell, as dark as night” (147). Whose beauty’s string no God can well distraine. My hapless hay doth roll the restless stone. have some other articles that have never been published.Happy Valentine’s Day. Thanks, Stephanie — that sounds great. Please let me know when I can publicize any developments. Meanwhile, happy Valentine’s to you, too, and keep the faith.